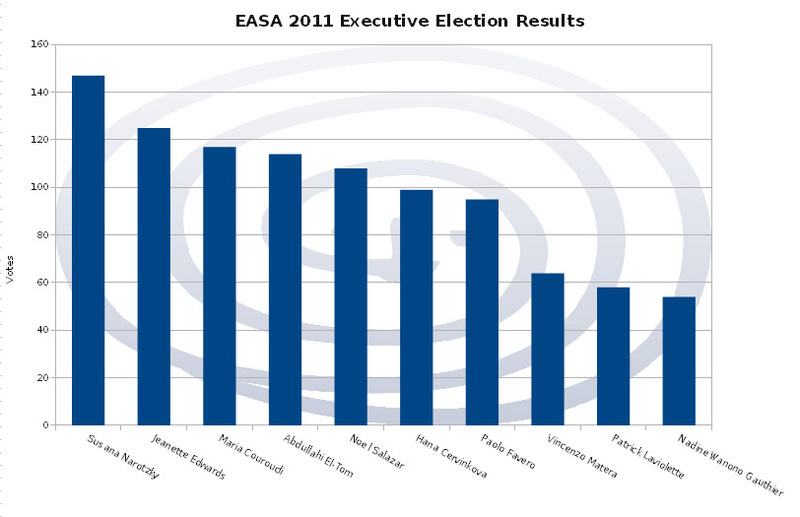 The elections for the executive closed on 18th January 2011. 271 of the eligible 1044 members cast a vote, giving a turnout of 26%, which is comparable with the turnout of the last elections. The top five will form the new Committee which will preside over the Association until 2013 and be responsible for the preparation of the next conference in Nanterre in 2012.